Eataly, Mario Batali’s mega-venture, just added a Chicago location in December 2013 (the other US location is in NYC). According to Forbes, “Eataly Chicago is foodie destination with 23 eateries, one fine dining restaurant and roughly 10,000 products for sale. There are butchers, fish mongers and even a Nutella bar”. I have not been there yet but am told by many sources that it’s an amazing experience, and I’m looking forward to going. However, for those of you looking for a truly authentic Italian food experience without all the airfare (beyond, of course, the Italy Pavilion at Epcot), note that there may be some differences. 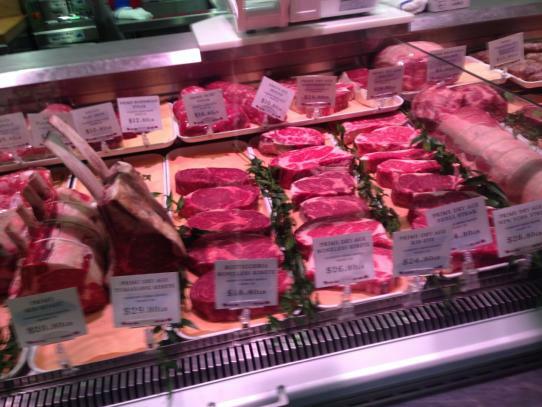 This is the meat case at Eataly Chicago. 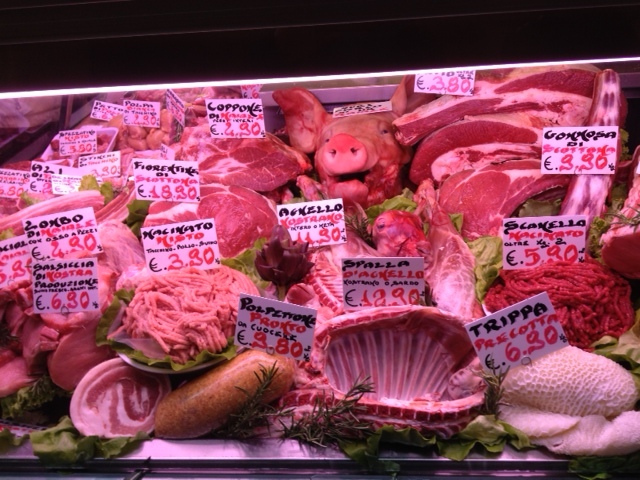 And this is a typical meat case observed in Bologna, Italy during an October 2013 visit. Note that there are fewer faces looking back at you in the U.S. version. For the purposes of marketing to generations of American consumers brought up on anthropomorphized animal characters, probably a good regional adaptation. 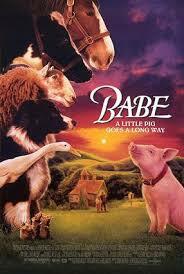 Posted in Marketing Strategy and tagged anthropomorphic, Babe, Chicago, Eataly, Italy, Mario Batali, pig. Bookmark the permalink.